Hair coloring is not a new concept. 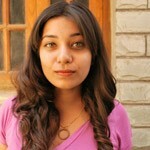 In fact, it can be traced back to ancient times when henna and bhringraj were used to color hair. They were traditionally used to cover grays and keep hair looking vibrant and healthy. However, changing the color of your hair using dyes has now become commonplace. While most people choose to color their hair in shades of black, brown, and red, it is not uncommon to see people sporting bolder, unnatural shades. 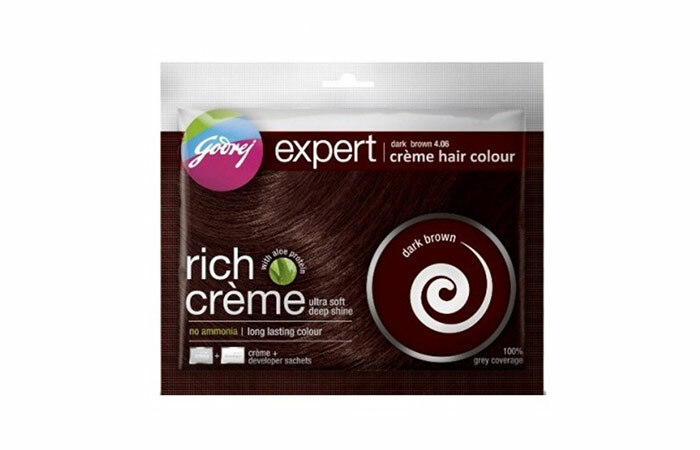 This use of hair dyes came about when Godrej Expert was launched in India. A lot has changed since this product was introduced. Today, there are so many different brands selling colors that knowing which one to choose can get a bit confusing. That’s why we’ve put together a list of hair dyes that you can use to color your hair at home. 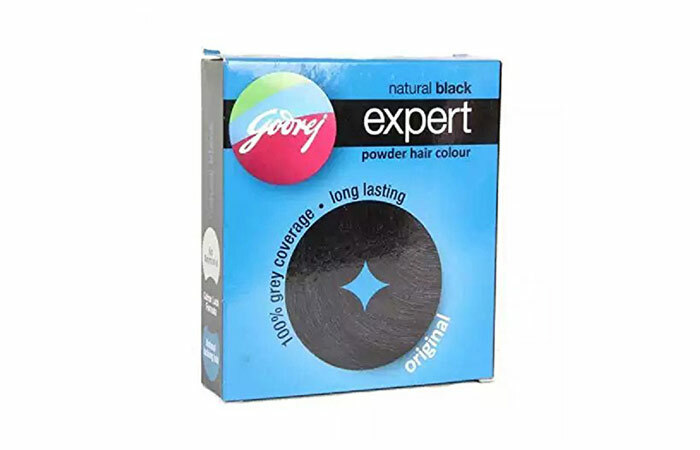 The original Godrej Expert was the first powder hair color to be launched in India. It contains no ammonia, which is responsible for damaging the protein in your hair. It is easy to use and still popularly used to cover grays. You cannot reuse leftover powder, as the color has been specifically designed for one-time use. Do you know how to use powder hair dye? Have a look here. Put on some gloves so that you don’t get any color on your hands. Using an applicator brush, mix the powder with water in a plastic bowl. Apply the mixture on clean, freshly washed and dried hair and let it sit for the recommended amount of time. Rinse the color out and follow it up with color protectant shampoo and conditioner. 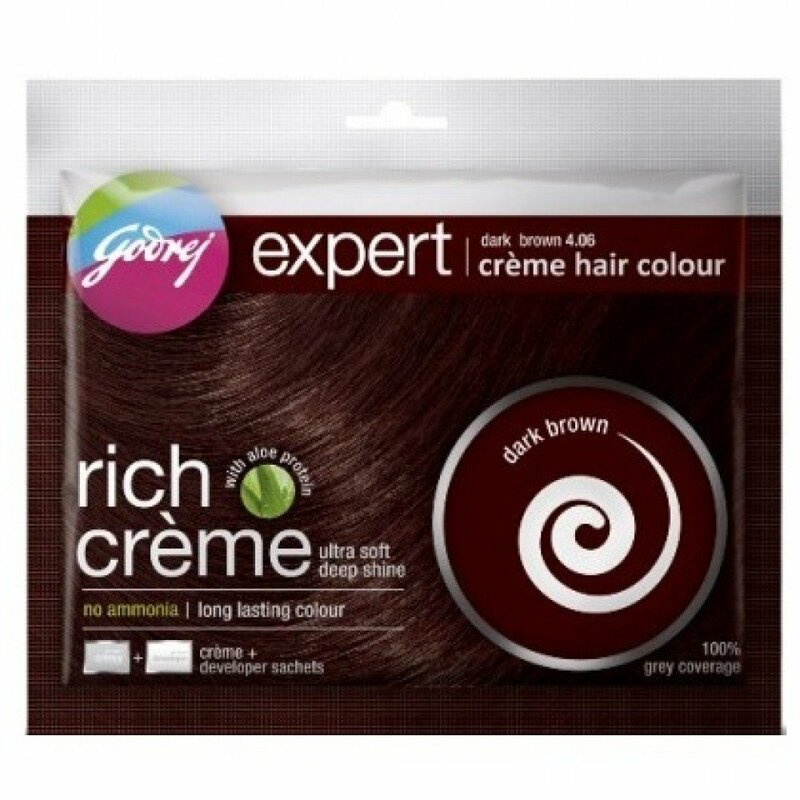 Godrej Expert Rich Crème comes in five different colors, which are: natural black, black brown, dark brown, natural brown, and burgundy. 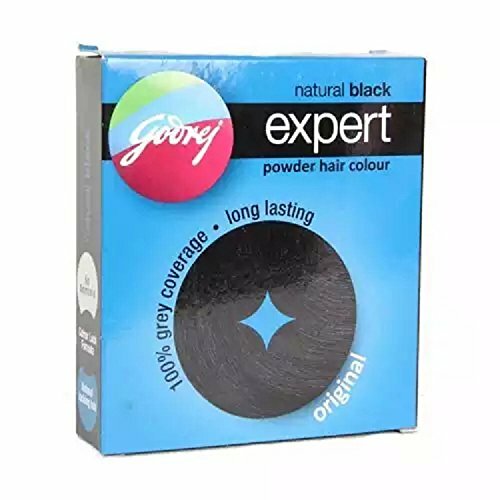 The natural black in this range of Godrej hair colors gives the same result as the original powder hair color. This product is designed for one-time use, and therefore, the leftover product cannot be kept for later use. Put your gloves on, and using your applicator brush, mix the colorant and developer in a plastic bowl. Apply the mixture to clean, freshly washed and dried hair and let it sit for the time specified on the packaging. Rinse it out with a color protectant shampoo and follow up with a conditioner. Vasmol 33 Kesh Kala incorporates a blend of herbs and almond protein in its unique formula. It is an oil-based product, free of ammonia and other harmful chemicals. It allows for easy application and keeps your hair looking black and healthy. Wear your gloves and start by shaking the bottle. Once well-shaken, pour the required amount of product into a plastic bowl. 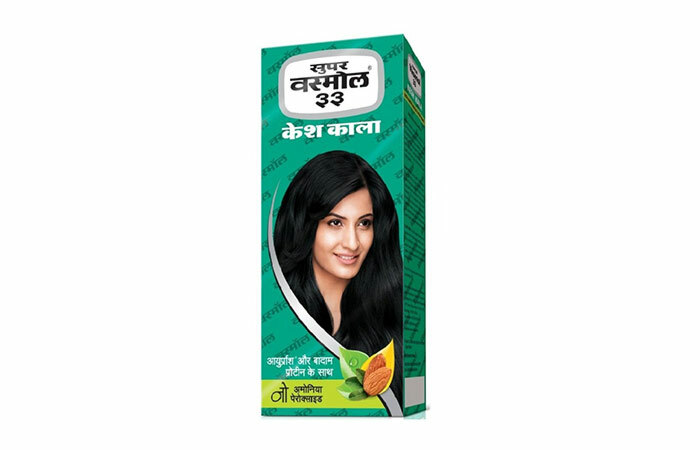 Section your hair and apply Vasmol 33 evenly from the roots to the tips of your hair. Wipe off immediately with some cotton if the product comes in contact with your face. Once you have covered all of your hair, secure it away from your face. Let the product sit for 2-3 hours (keep it on for longer or repeat the process again the next day if you want a darker shade), then wash off with shampoo. 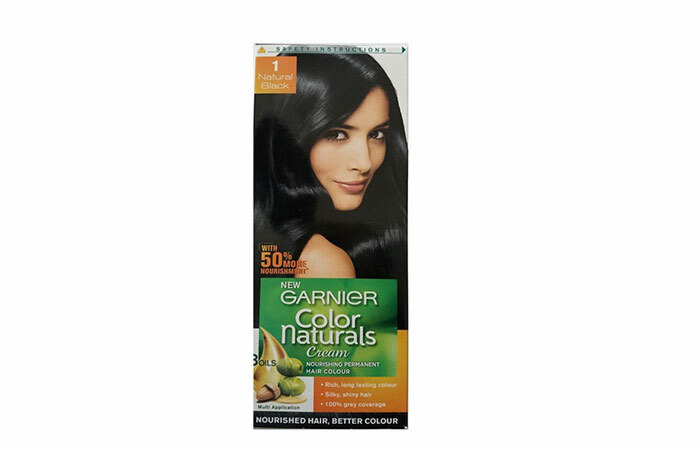 Garnier Color Naturals comes with the added goodness of a blend of oils that nourish the hair, minimizing the damage from the dye. 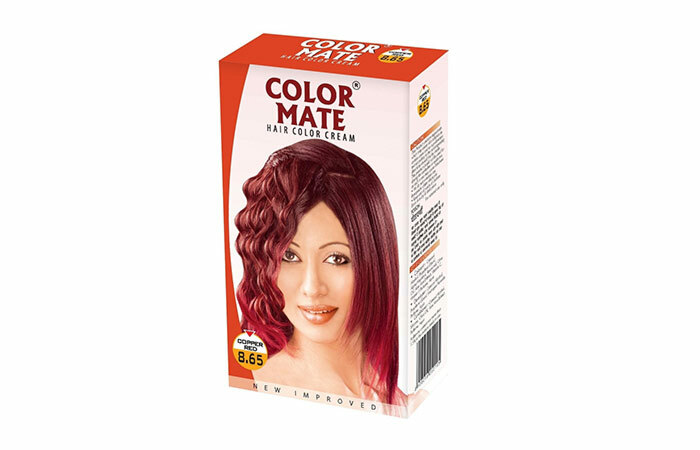 It promises long lasting results of vibrant color. It is available in various shades, from black to reds. Put your gloves on and start applying the dye on clean hair. Keep it in for the recommended amount of time and then wash off with shampoo. Follow it up with the color protectant conditioner that comes with the color. Wella is one of the most popular brands for hair colors and lightening agents. 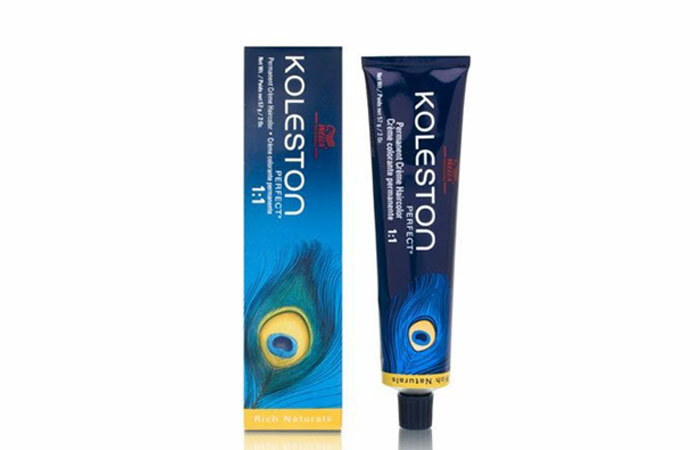 The Koleston range consists of a variety of colors, from naturals to bold, unnatural ones. 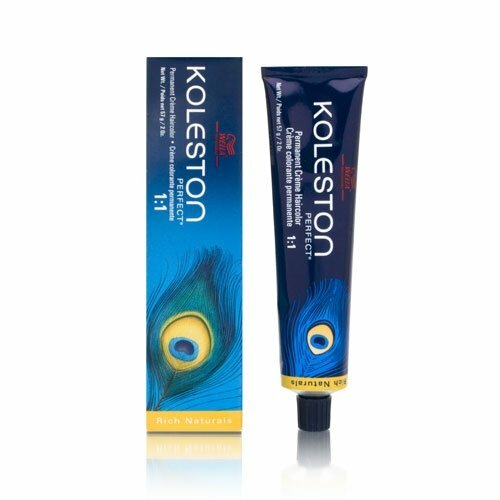 When used in combination with Koleston Perfect Crème Developer, it gives intense and long-lasting results. 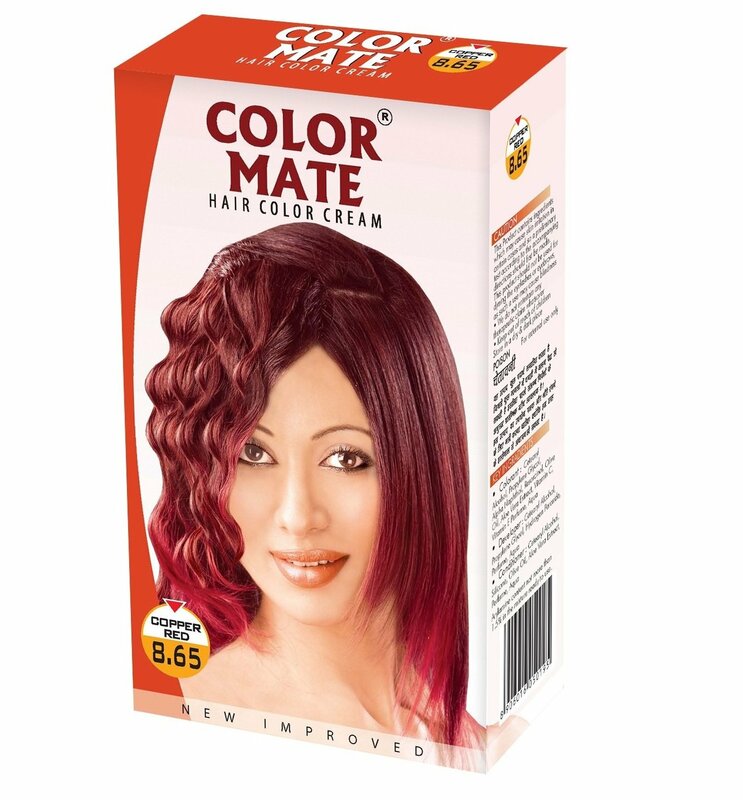 Depending on your choice of color, use the colorant with the hair developer. Use 1 part color and 1 part 12% developer for 3 levels of lift. For 2 levels of lift, use 1 part 9% developer. For 1 level of lift, or to cover grays, use 1 part 6% developer. For Special Blonde, use 1 part colorant and 2 parts of the 12% developer. Mix the colorant and developer in a plastic bowl using your an applicator brush. Ensure that you have your gloves on and start applying the mixture to your hair. Once your hair is covered, let the color sit for 30-40 minutes if you are using the dye for coverage. If you are using it to lighten your hair, do not let it sit for more than 20 minutes. Wash off with a color protectant shampoo. Condition well. 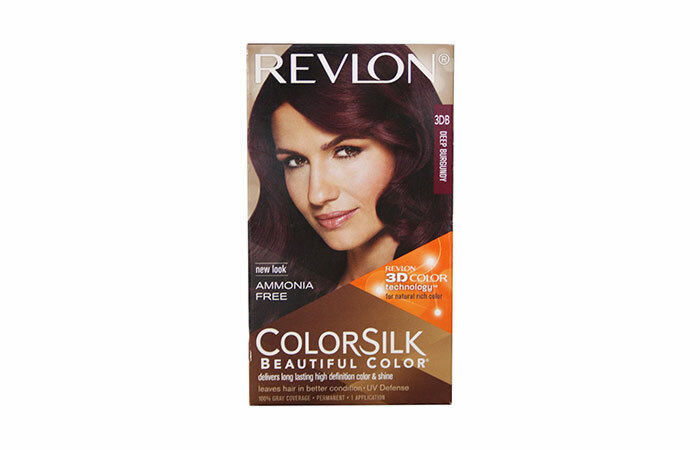 This ammonia-free hair color comes in a variety of different colors. It lasts for six months before it starts to fade (permanent). 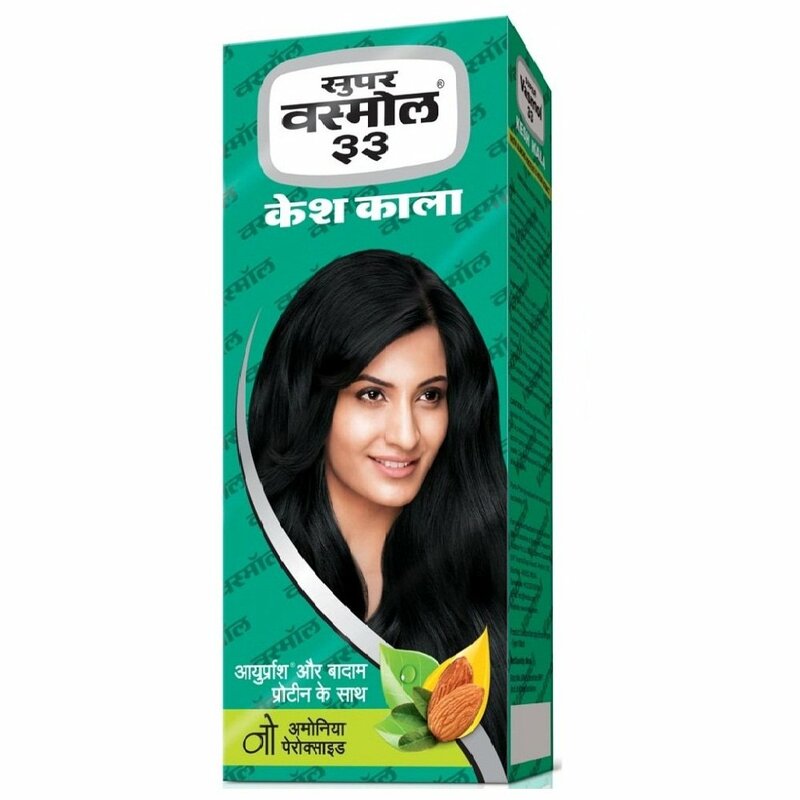 It is gentle on your hair and maintains the pH balance of your scalp. It also incorporates a UV defense formula that keeps the hair from getting damaged in the sun. Wear your gloves and mix the colorant and developer in a plastic bowl. With your applicator brush, apply the color mixture to clean hair. Let it develop for the recommended amount of time and then wash off with color protectant shampoo. 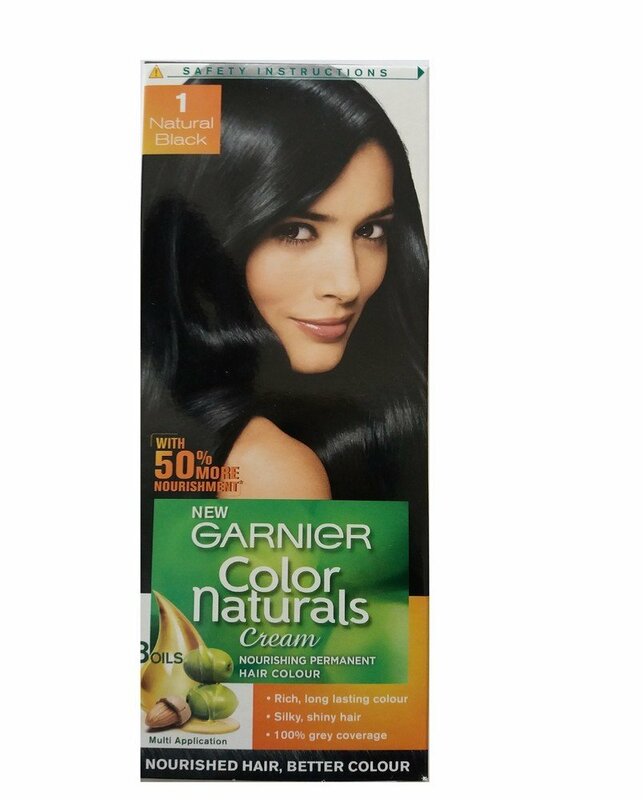 This is a cream-based hair dye that has natural oils to reduce the impact dye has on your hair. It is great for covering grays while maintaining the pH balance of your scalp. Mix the colorant and developer that is provided in the kit in a plastic bowl. Put your gloves on and use the applicator brush to apply hair dye. Let it develop for the recommended amount of time and then wash off with a color protectant shampoo. Follow up with a color protecting conditioner. 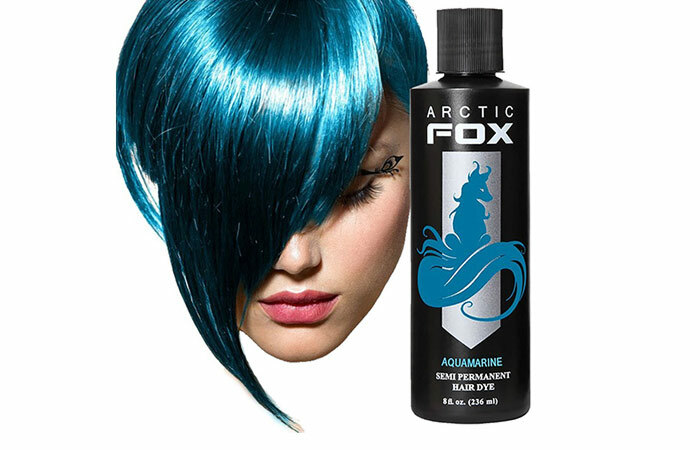 Arctic Fox hair color is a vegan hair dye company that does not test on animals or use any animal ingredients in its dyes. They have a wide range of bold colors from shades like aqua blue to virgin pink. The colors have a fragrant grape-like smell and the hair feels soft and moisturized post application because of its conditioning formula. However, most of the colors show vibrant results only on light hair, so the dyes are unsuitable for people with dark hair unless you have bleached it. You can store leftover dye for touch-ups and later use. The color lasts for 6-8 weeks. Take the required amount of color in a plastic mixing bowl. Put your gloves on and with your applicator brush start applying the color to your hair. Let it sit for at least 40 minutes. Wash with color protectant shampoo and condition. Manic Panic is one of the most popular brands for punk hair color. It is also vegan like the Arctic Fox colors and has a wide variety of colors. You need to have light colored or bleached hair for the color to show up on your hair. It is semi-permanent and lasts for up to 6-8 weeks. Put your gloves on and using your applicator brush, start applying the color to your hair. Let it sit for the recommended amount of time. Shampoo and condition with color protecting products. Note: If you have dark hair but have been wanting to try out some bold unnatural colors, you will first have to lighten your hair with bleach. Although it is better to get your hair professionally bleached, you can do it yourself too. Ensure that your hair is healthy before you attempt bleaching. To bleach your hair, combine a hair bleach powder with a 30 volume developer (for hair that is brown-black). Do not leave the bleach in for more than 30 minutes. If it hasn’t lightened as much as you wanted, re-bleach it after a week. Apply hair masks and treat your hair with oil to restore its health. 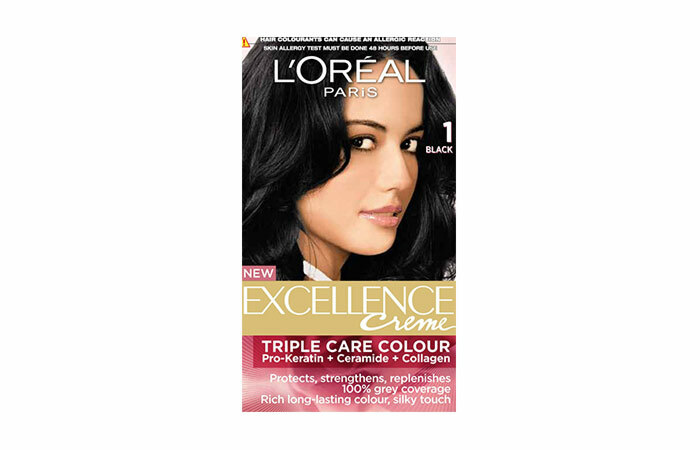 The L’Oreal Excellence Range contains natural colors that promise long-lasting results. It covers all your grays and maintains the pH balance of your scalp. It contains proteins that keep your hair from getting damaged and leave your hair feeling soft and looking shiny. In a plastic bowl, mix the colorant and the developer. Ensure that your hands are covered in gloves and start applying the color to your hair with the applicator brush. Let it sit in your hair for the recommended amount of time. Wash it off with color protectant shampoo and follow it up with a conditioner. 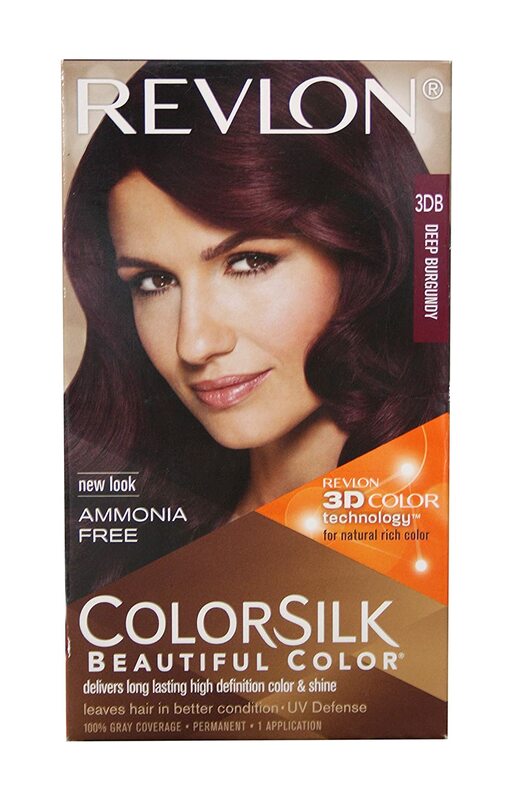 This no ammonia formula from L’Oreal comes in a variety of natural colors. It covers your grays and leaves your hair looking glossy and feeling soft. Mix the colorant and developer in a plastic bowl. 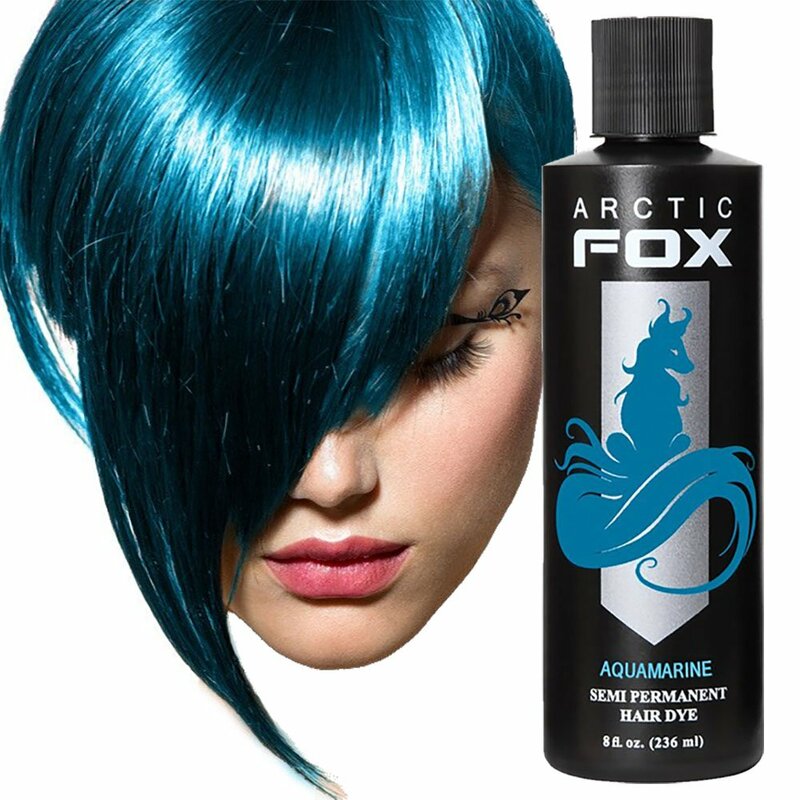 Put your gloves on, and using an applicator brush, start applying the color to your hair. Once applied, let it develop for the recommended amount of time. Wash off with a color protectant shampoo and condition. Always conduct a strand test to ensure that you will get the results you want. Never apply hair color without gloves. Apply some petroleum jelly to your forehead and neck to make it easier to wipe away any messes. Never let color slide into your mouth or eyes. Wash them off right away. Consult your doctor if the irritation persists after cleaning. Always remember to condition colored hair with a color protecting conditioner for better effect. Do not use any henna or natural coloring for at least four months before and after coloring. If you are a pregnant woman or a nursing mother, do consult your doctor before coloring your hair. The fumes can be harmful. Always follow the instruction booklet before coloring. Apply color to freshly washed hair. Do not condition before dyeing your hair. With this handy list of hair coloring products, you can color your hair at home hassle-free. Go through the various colors offered by these brands and select one best suited to you. 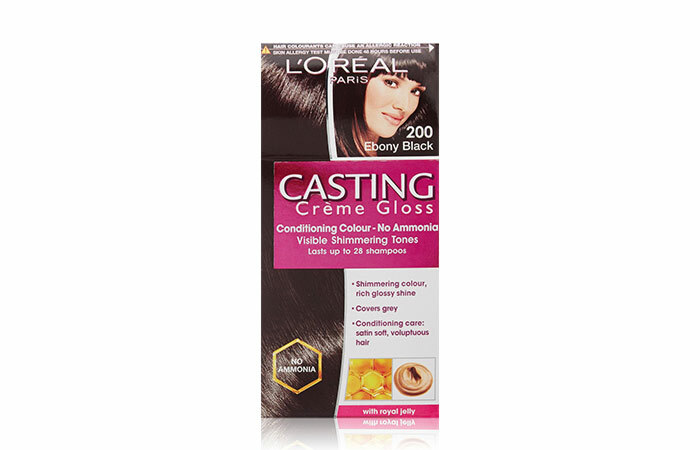 Do you have any experience dyeing your hair at home? Let us know in the comments section below. Vegetal Hair Dye - What Is It And Why To Use It? Hair dyes add shine & beauty to hair. It is good to choose vegetal hair dyes as they contain vegetable extracts that are safe to use. Here is a brief review for you to know. That beautiful hair color you’ve been dreaming of is finally going to be a reality. Months of waiting and anticipation are going to pay off. This is the attitude you carry while stepping into the salon.